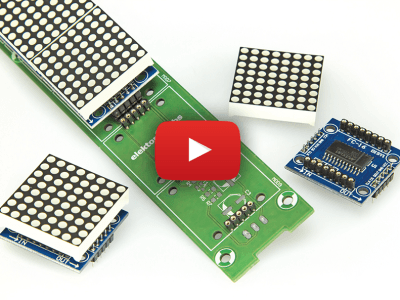 Scrolling LED marquees are easily built with a few 8x8 LED arrays. However, 8x8 is not good enough for displaying all international alphanumeric characters. 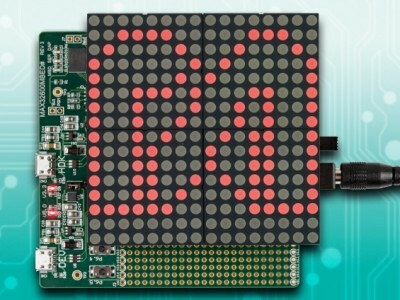 This Arduino and ARM mbed compatible reference design combines four 8x8 LED arrays to create a 16x16 display with 256 LEDs, capable of displaying any international alphanumeric symbol and more. 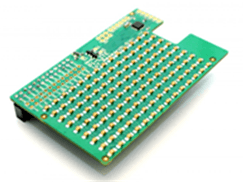 Apparently the name Arduino lends itself exceptionally well to word-crafting product names, as new "xyx" duino’s appear on the launch platforms every day. Latest I was amused to see is Plumduino from Vancouver-based startup Plum Geek LLC. These folks already went skyrocket on Kickstarter last year with their two miniature Arduino robots with sensors and lighting effects. 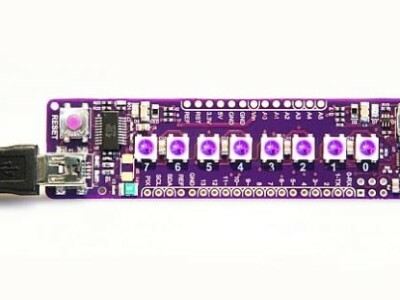 Now, they discovered the market potential of education, meaning they offer kids to “customize” the Plumduino by teaching them the programming basics. 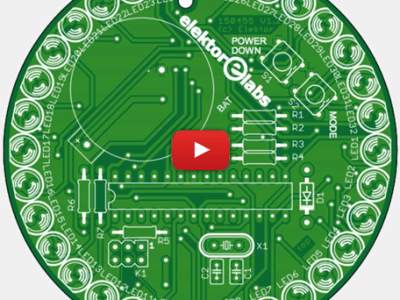 Various circular animations and blinking multi-colour light effects are possible with this simple 32 LED circle. It runs from two CR2032 batteries. 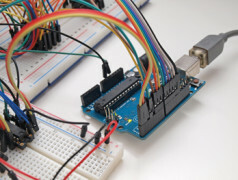 The red, yellow and green LEDs are driven by an ATmega328p, easily programmed with the Arduino IDE. 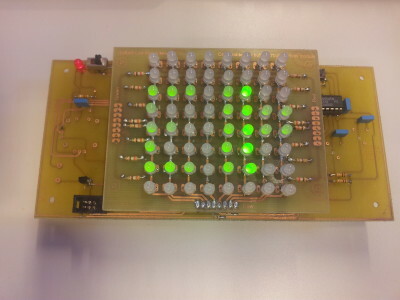 Since this microcontroller lacks the outputs to drive so many LEDs individually, these are arranged in a 4 x 8 matrix (only 12 outputs required). 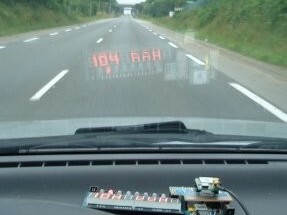 To make a scrolling banner display we just need an Arduino, an LED matrix display and a few ICs. A free software tool from Mikroelektronika is used to convert a complete character set into lines of code.